Find bedrock chunks in mineshaft or stronghold chests (very rare) and craft bedrock blocks. Now you can make the pickaxe to mine the real bedrock and have acccess to get all other items and block of the mod! Bedrock infused Obsidian: Much harder than regular Obsidian! 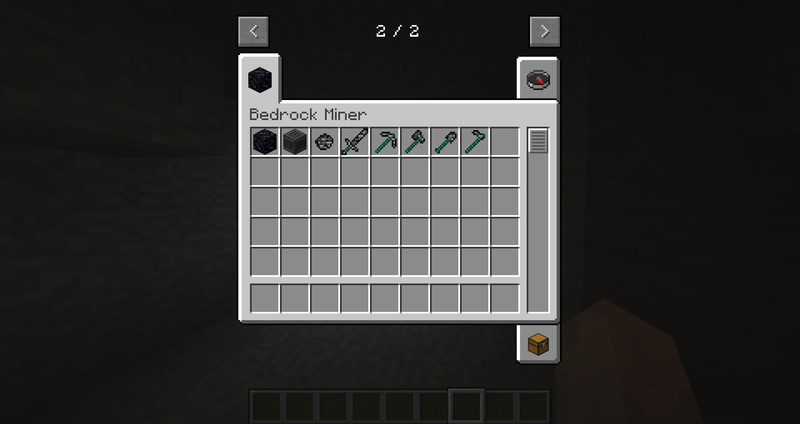 Bedrock Breaker: This machine mines bedrock faster than the pickaxe! 1. Make sure you have already installed Minecraft Forge. 2. Locate the minecraft application folder. 3. Place the mod you have just downloaded (.jar file) into the mods folder. 4. When you launch Minecraft and click the mods button you should now see the mod is installed. Rights and License - Important! This MOD may only be distributed where uploaded, mirrored, or otherwise linked to by the OWNER solely. All mirrors of this mod must have advance written permission from the OWNER. ANY attempts to make money off of this MOD (selling, selling modified versions, adfly, sharecash, etc.) are STRICTLY FORBIDDEN, and the OWNER may claim damages or take other action to rectify the situation. Mod reposts (without the rights of the mod creators) are STRICKTLY FORBIDDEN! 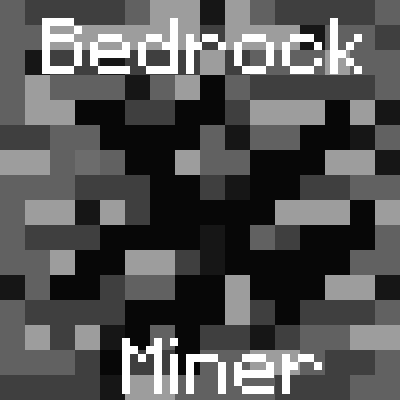 You want BedrockMiner in your mod pack? 1. Your mod pack needs a link back to this post. 2. You cannot make any money off of the mod pack. 3. You cannot claim that you made any part of the mod, and you must give credit to the author of the mod. I like this mod, it's really cool and with a truly good texture, but there's a few things I really can't understand..
What's the point on add a Bedrock Armor that has lowest stats than Diamond, that also gives you a bad effect of Slowness 1? And the Bedrock it's the hardest material on the game. I mean, you have to get 27 Bedrock Chunks to craft a Pickaxe, then craft a Block Breaker with that Pick, then you can farm Bedrock as much as you want. I've tested this mod before using it in my server, and after 1 hour and 80+ Mineshafts I just found 1 Bedrock Chunk.. These are the Armors stats compared. As you can see I don't want you make this armor op, it's just a +1 on all stats comparated to Diamond, and it's also more Vanilla friendly without buffs. can it mine end portal frames too? Is there the possibility that there will be a 1.11.2 version? Hey, is there any chance of having a config option for weight in loot tables? Thanks! 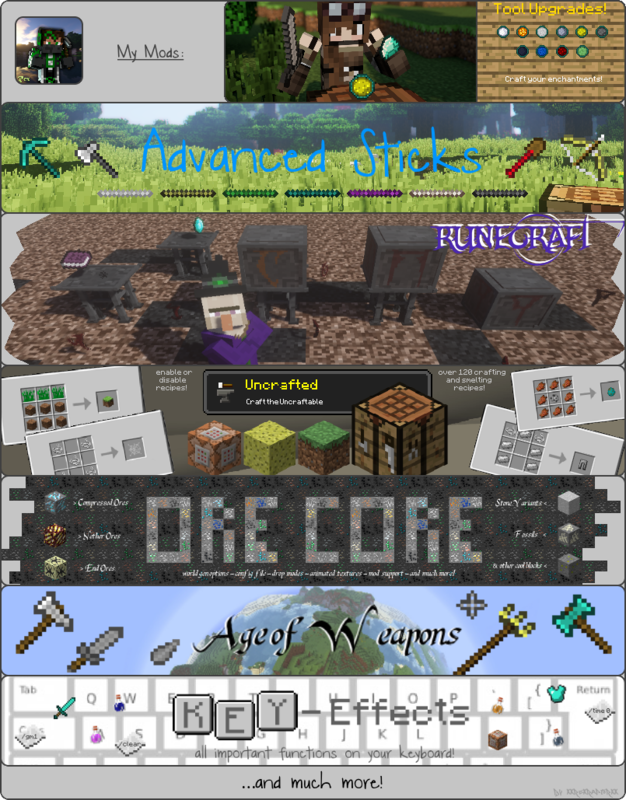 How about for balance, bedrock tools, weapons, and armor are not enchantable? Or maybe not able to be repaired in an anvil? 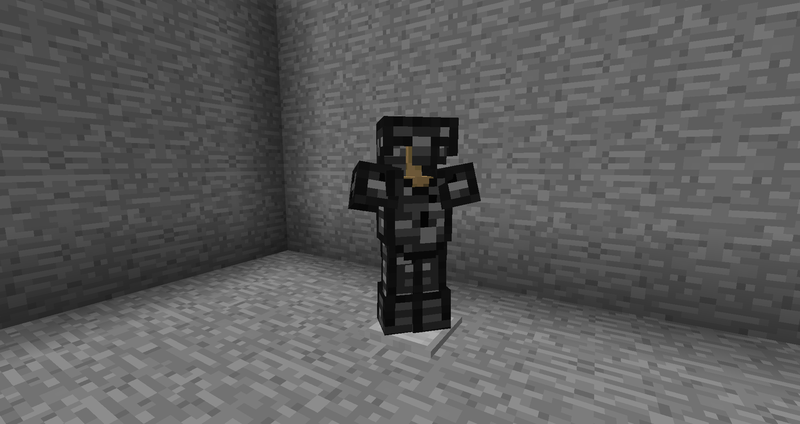 Or perhaps the armor negates potion effects, lowering them by a level or making them not last as long? The armor, tools, and weapons right now, while difficult to obtain, make other modded armors, tools, and weapons kind of obsolete. I dunno though, just a suggestion. I would highly suggest you change the Bedrock infused Obsidian recipe from 1 block of Bedrock infused Obsidian being crafted to 4. The recipe itself takes 5 Obsidian blocks, and nearly enough Bedrock Chunks for a half of a Bedrock block. I think 1 block in return is way too little, considering how the recipe consumes nearly 6 full blocks. 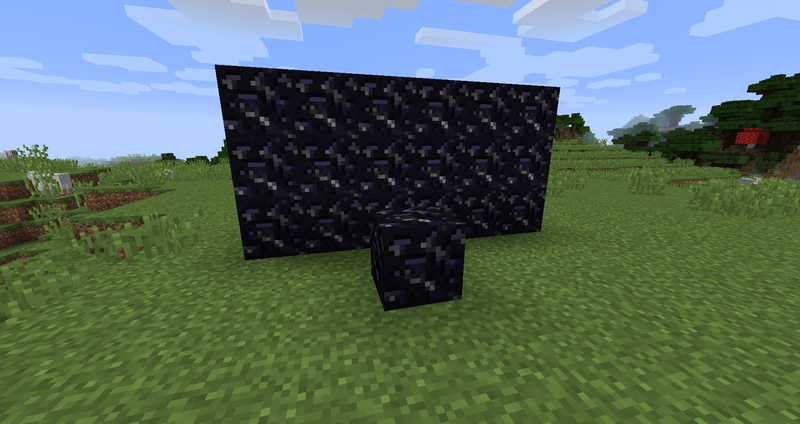 I would also lightly suggest capitalizing the "i" in infused in the Bedrock infused Obsidian block's name, as all blocks already in the game have the first letter of every word of their name capitalized. So? Could i get answer to my comment, what i wrote before here? Please! Thank you. And will it be updated for 1.11.2? Hey, i think not, because between 1.12 and 1.11 are big changes and the mod is not sooo popular. Maybe sometime in the future..
Hmm, i see. It could be popular, if would be advertise it. For example linking and make a video about it for Youtube. As i know and as i experienced, many players want to break and get bedrocks. And as i know, not very big difference between the 1.11 and 1.12. I heard about the 1.13 will be so much different and will be much harder to upgrade and make mods for it. So 1.12 for it not a very big deal. Wow, looks like great and interesting this mod. I use Minecraft 1.11.2 version. I ask please update it for 1.11.2 too! Thank you. I already love this mod!